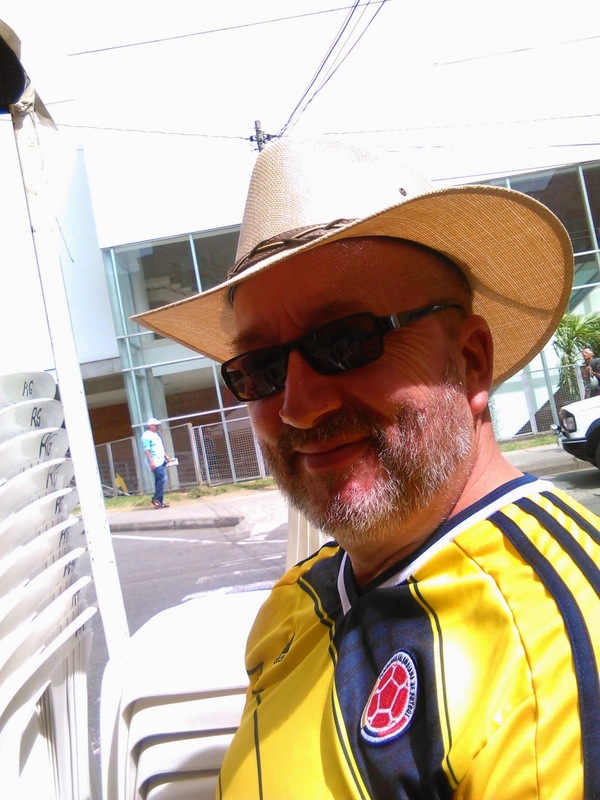 An Englishman in Colombia: On a Downer! 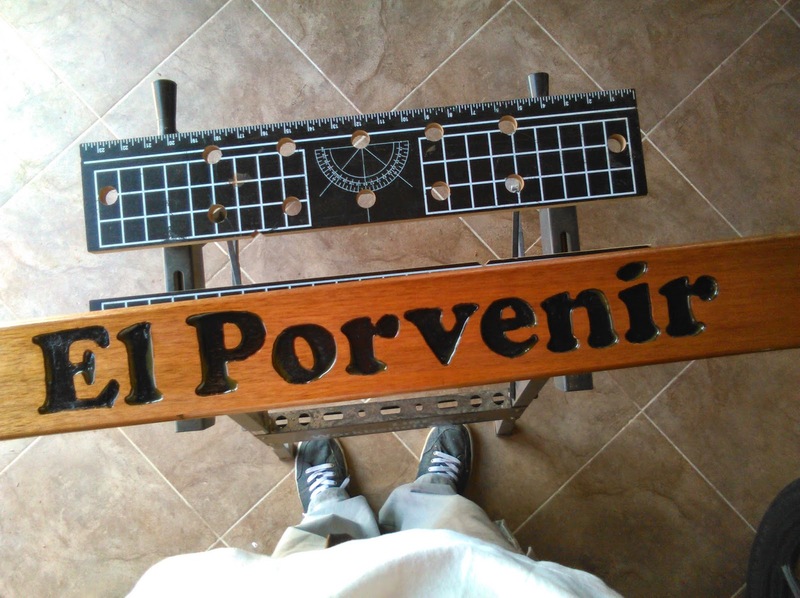 It just needs another coat of varnish, and then I can can it over... Will she like it? I haven't a clue, if she doesn't, it will come in for firewood! Mid-day, we readied ourselves to go and watch Colombia play Brazil, and arrived in Niquia at 2pm to find the stand already full, most businesses, and Public Services, had given their employees the afternoon off, knowing full well no one would turn up for work anyway. Most Bars in the Country were capitalising on the event, and who can blame them, they all had large screen TVs set up, inside and outside, as long as you were buying, you had a seat, so we found a perch, along with Maria Elena and her friend, Sandra, and Sebastian, and watched the match. Colombia didn't stand a chance, with the Brazilian, Neymar ducking and diving all the way through the match, nasty to say it, but I was glad when he was injured, and taken off. The Referee was obviously a Brazilian supporter, I'll say no more, however that did not detract from the efforts of Colombia, this being the furthest they have progressed in the tournament, so well done to the team. Now I just need to go back to the shop, and see if they will do a refund on a once used Colombia shirt! I hope all the shops, had their shirts on a sale or return basis, because there were still thousands for sale as of yesterday, every shop, whether it be a Sports shop, electrical shop, or fruit and veg shop was selling them. Now that is over for us, I have got to get myself back into a routine, I am feeling a bit down at the moment, not quite as happy as I thought I was, I'm sure it is just a passing phase, we all have them, but I need to shake myself out of it...fast. As for today, I have a dental appointment at 9am, and then...I haven't a clue, but if there is anything to report, I will update later.